The Tourism office of Puerto del Rosario - Fuerteventura, has announced a new event in the capital of the island called MarEnArt. 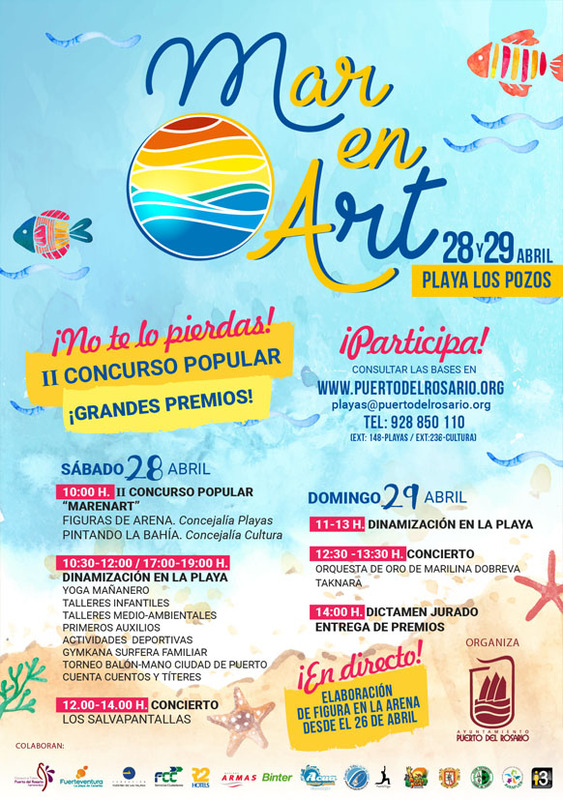 This event will combine the sea, sand and art in one meant to open the summer season and to promote the town among tourists visiting Fuerteventura. If you're staying in Caleta de Fuste or Corralejo it's really easy and quick to get to Puerto del Rosario by using the public transport. There are direct buses also from El Cotillo and Morro Jable, so you should check the bus routes if you plan to come here for MarEnArt. The event is also the perfect occasion to visit Puerto del Rosario, a place that is often overlooked by visitors. You can do some shopping if you want or you can just walk around the beautiful beach and maybe get to see one of the big cruise ships that come in the harbour. Come to this event in order to see the beautiful sand sculptures on the Playa Pozo beach. There will also be live music, kids workshops and sports activities organized during the 2 days of event.